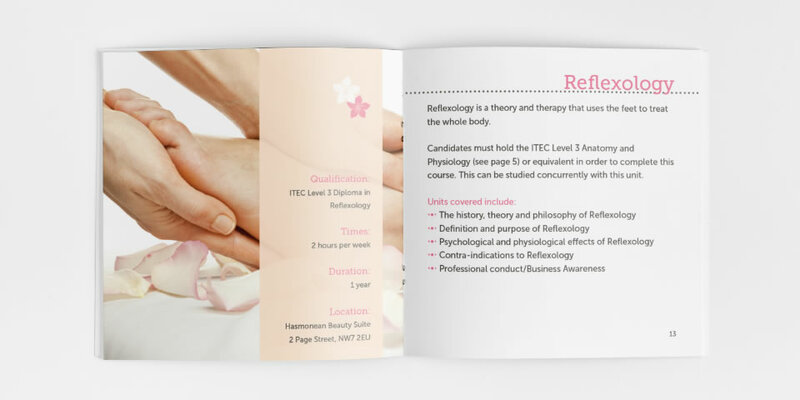 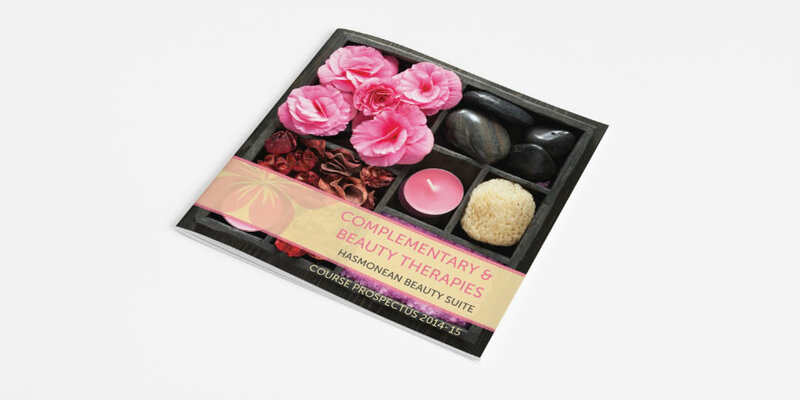 I was asked to design the prospectus for Georgina Bright, an experienced teacher of complementary and beauty therapies who was now expanding her courses to a new location. 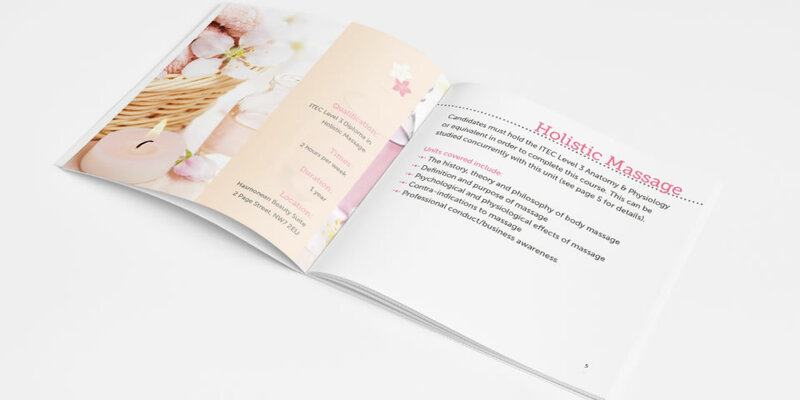 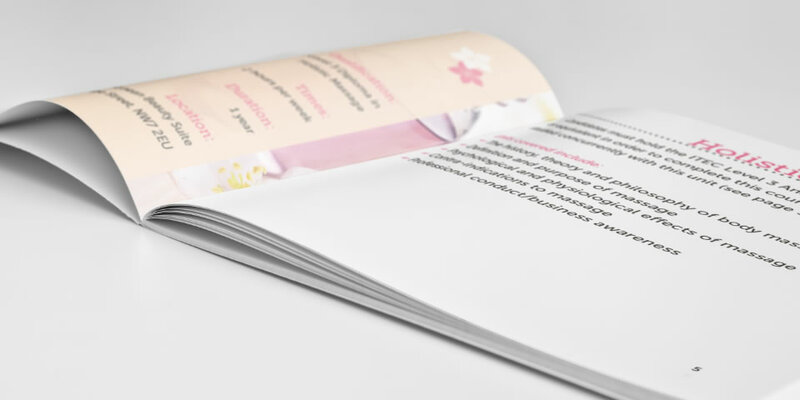 Through use of relevant imagery and floral graphics I achieved a feminine and elegant looking square brochure which has a clear layout to display the various types of information. 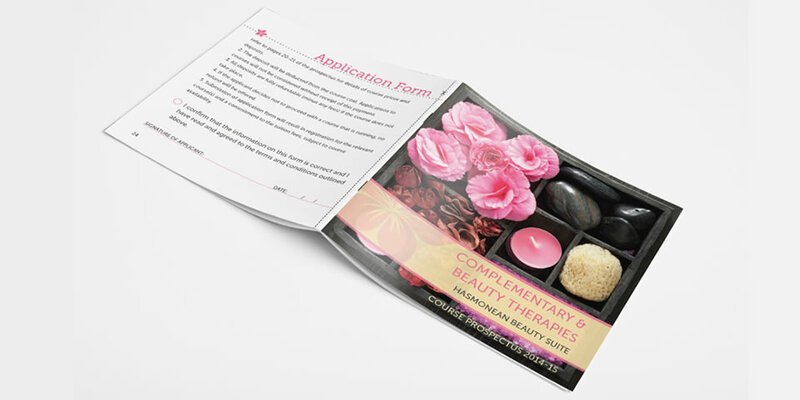 I also incorporated the application form as the last page which can be cut and detached easily without needing to provide a separate paper form.